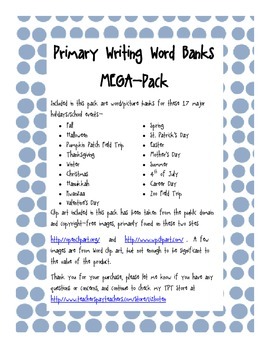 Primary Writing Picture Word Banks Mega-Pack! 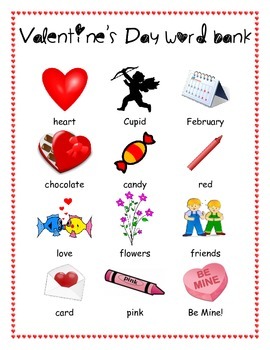 These word banks will allow the youngest students to learn the craft of writing about their own lives without a prolonged struggle over difficult vocabulary. 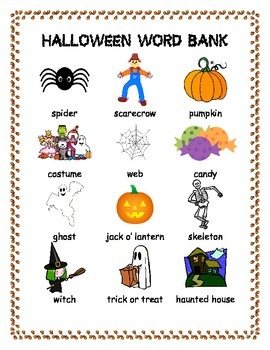 Each word bank includes 12 words with related clip art. Free your students to focus on their stories and allow yourself to spend more time conferencing and less time spelling out loud!